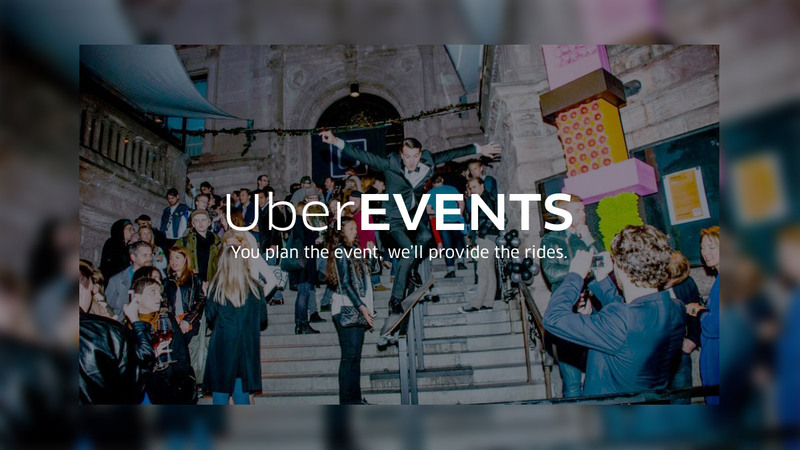 With Uber recently announcing the release of UberEVENTS, we take a closer look at how businesses, large and small, are using events to power their growth. 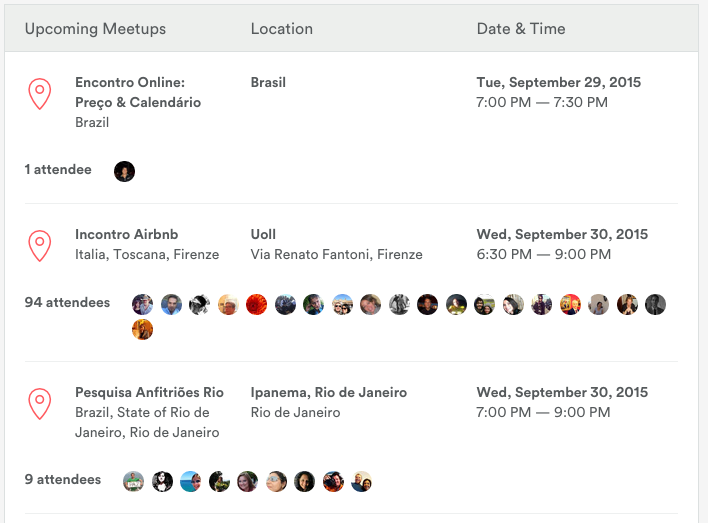 Airbnb is making full use of the power of intimate live events by organising and helping their users organise meetups and gatherings for Airbnb users. Past events include “A toast to London”, “Colombo Get-Together @ Lemon Bar” and “DC Host Appreciation Social @ Hoban’s!“. Airbnb knows how to leverage the power of events to strengthen their community of users, which helps build brand loyalty and increase customer retention. Most businesses don’t have the luxury of Airbnb’s size and growth to afford planning this many events for their users. However, what we can learn from Airbnb is to let our networks and users do the work for us. Tap more extensively into your network of users and encourage them to plan events through one or two passionate community managers that you hire. Recently launched in late September 2015, UberEvents is a service that allows organizers to buy and secure car passes ahead of the occasion to send to guests, clients or whoever needs one to get to the location via email. This is great for exposing Uber’s services to the event-goers who use their service when they attend a particular event. Local businesses in Singapore are also exploiting the power of events to market themselves. 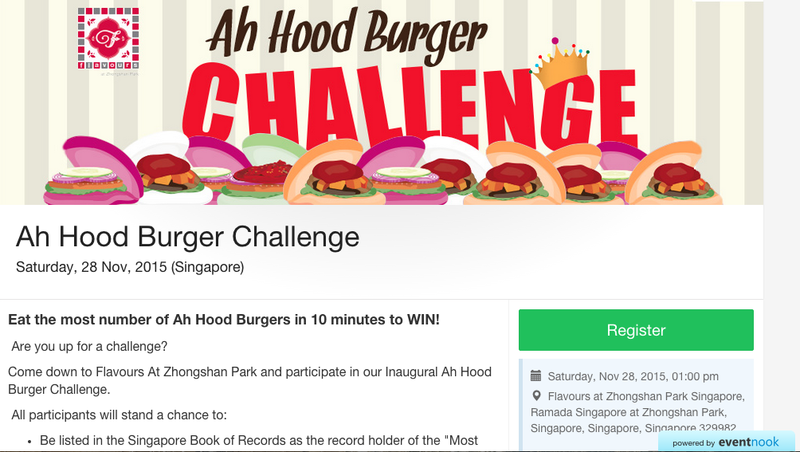 Ramada Singapore at Zhongshan Park, a hotel in Singapore, is currently organising the Ah Hood Burger Challenge on 28 Nov 2015, a burger eating contest to promote their Ah Hood burger stall. By giving away Flavours At Zhongshan Park vouchers as the prize, they also promote the other restaurants in their hotel. The event is a great way to get people to know about them as well as to bring them back with the prizes given away at the event! By planning a competition, they can also leverage on the networks of the participants who will bring their family and friends down for support. And how do they do that? By offering a package for families and friends to enjoy the food without stuffing their stomachs till they explode. Pigeon Singapore, producer of Mother and Baby Care Products, hosts the SG Mass Latch On in conjunction with World Breastfeeding Week annually. The event sees mothers of all walks of life come together to latch on their babies at the same time. Planning social gatherings and meetups for mothers creates a positive branding effect for Pigeon amongst their main target group. They are seen as the champion of women and mothers in Singapore. By organising it in conjunction with a worldwide event, they can also leverage online opportunities for marketing. They are also able to use the event giveaways to promote their breastfeeding products. Oktoberfest, the most famous beer festival and travelling funfair which happens in Munich from late September to October every year is an extravagant display of the biggest beer brands in Munich. 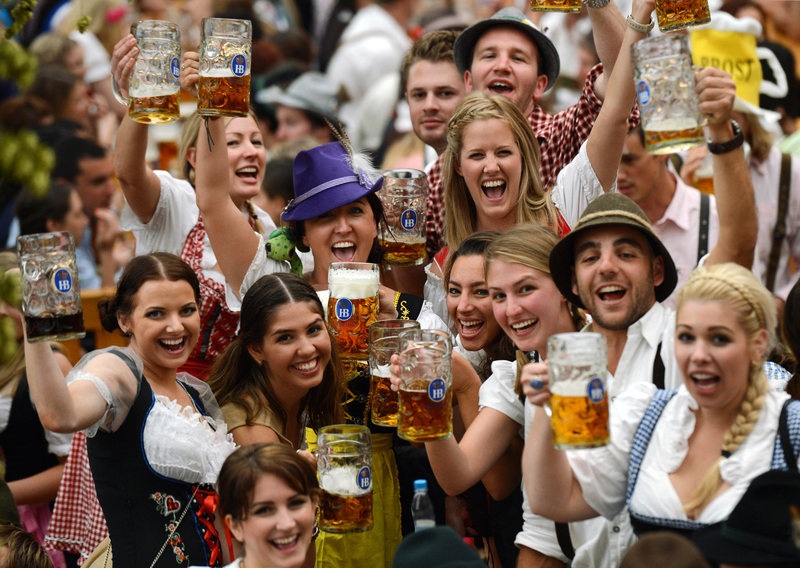 It draws millions of people from all around the world for weeks of beers, Bavarian culture and carnival rides. Imagine the market reach for the beer brands involved! One thing we can learn from these brands is the power of collaboration. The event is so successful because it brings together the best of Munich’s breweries. They draw on each other’s brand power to create a bigger entity that they cannot create alone. These beer brands have created a legacy brand on the back of a highly successful event. Both the beer brands and the event Oktoberfest have now become synonymous with Bavarian culture. Events are a powerful tool in every business’ arsenal. Use them in a way that builds a community for your business and you will witness increasing brand evangelism, recurrent purchases and higher brand awareness. 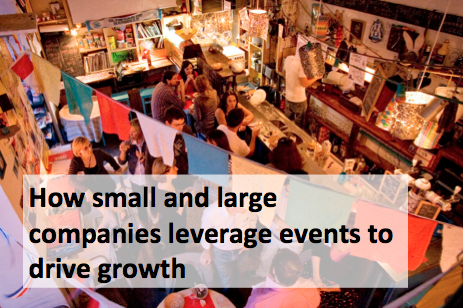 How can you leverage events for your business? Stay tuned for the next part of this article to find out more!